In downtown New Haven there is a large parking lot at the foot of the Knights of Columbus building. For most people it’s just a sea of tar filled with numerous slumbering automobiles. However, for diehard hockey fans this is hallowed ground. die heart fans that supported whoever called the 12,000 seat indoor insane asylum its home. The Nighthawks were by far the most famous and popular tenants who played for 20 seasons from 1972-1992 and made four appearances in the Calendar Cup Finals. The Nighthawks games soon became regular sellouts as fans flocked to see the future stars in the NHL come through the city of New Haven. The team became famous for playing welcome to the jungle which was appropriate for the steel and concrete jungle, especially for the fans in section 14. It became a major home ice advantage because of the passionate fans made the Coliseum an intimidating place to play. 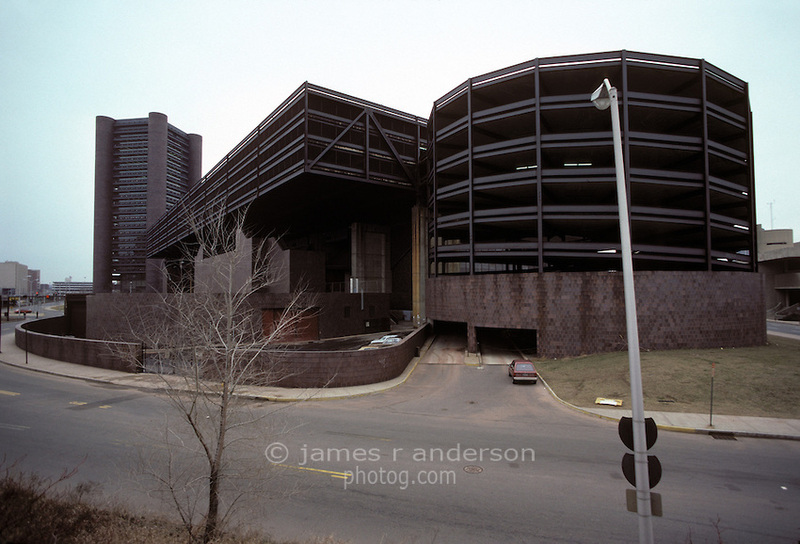 The seventies and eighties were the heyday for hockey in the city of New Haven. Since the early 1920s hockey helped to define the Elm city, but soon the tide began to turn. By the early nineties minor league sports in New Haven were being put on life support. It started with the Nighthawks ending their tenure in 1992 and being renamed the New Haven Senators. 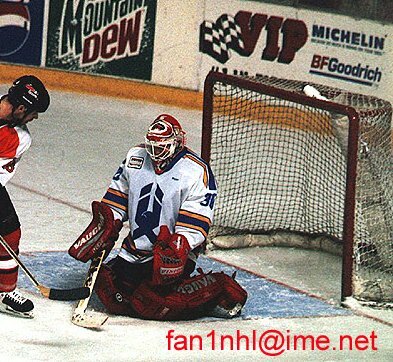 The change was very unpopular with the fan base, but what made it even worse was that after only one season the team decided to leave New Haven. For four years the Coliseum was dark until 1997 when a new team, The Beast of New Haven moved in. to thank my father for taking me to my first hockey game. 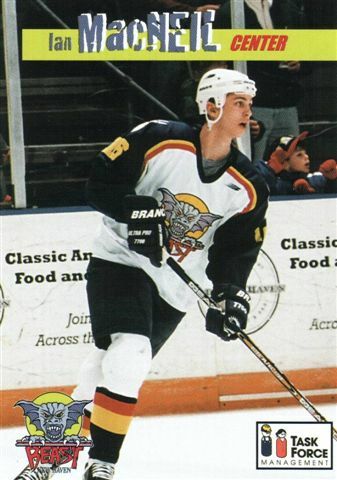 It was in 1997 when watched the Beast of New Haven defeat the Providence Bruins 4-2. I loved the Beast and can still remember meeting Peter Worrell, a hulking forward who became a superhero like figure. 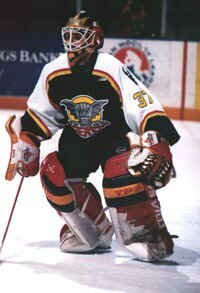 My dad always took me to as many games as possible and we would always sit behind the Beast net to root for my favorite player, goaltender Mike Fountain. While my dad took me to the games my mom helped make my bedroom a shrine to the hockey team. Heck one year I dressed as the Beast mascot for Halloween. While many people root for professional teams or college teams my team was my team. I would watch them on local tv and listen to every away game that I possibly could. My dream became to wear those white and blue uniforms with the giant Beast emblem on my chest in front of the hometown crowd. However, some dreams just don’t last forever. In 1999 it was announced the Beast would be leaving and I was crushed. I sat teary eyed trying to figure out how could my heroes just be leaving? A nine-year old kid at the time, I couldn’t comprehend the situation and wondered why were they leaving me? I now know it was because Mayor Destefano refused to renovate the coliseum and didn’t see the importance of keeping minor league hockey in New Haven. He didn’t appreciate the rich history that he was destroying for generations of fans in the Elm city.The state also invested in the new arenas built at Mohegan Sun and in Bridgeport which soon made the Coliseum obsolete. Why play at a deteriorating arena when a franchise could play at a brand spanking new one filled with all the bells and whistles? 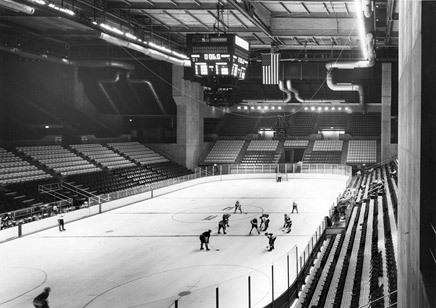 With the death of the Beast, the clock was striking midnight for hockey in New Haven. With their passing the last shred of the former Hartford Whalers was taken away from Connecticut. While the New Haven Knights became the new tenant in 2000, the drop from AHL to UHL hockey was noticeable. The reason people didn’t come to games was because the UHL did not have the talent or pedigree of hockey that the AHL had. Like the Whalers why should the fans just accept a decrease in the level of hockey then they were used to? In the AHL you had future NHL stars on every roster, but in the UHL you’d be hard pressed to find players who had a future in the NHL. I even tried to get into the Knights and while I did enjoy their games it just wasn’t the same. Three years later the Knights would ride off into the sunset and with them New Haven’s hockey legacy. Our beloved old Coliseum was finally taken off life support in the early morning hours of January 20th, 2007 (link to watch implosion). I watched the destruction with my parents at my side as we watched almost a decade of memories collapse in 10 seconds. The life of the coliseum defined my hockey career as it began with the Beast and ended in 2007 with the Coliseum after I finally surrendered to my battle with concussions and hung up my pads for good. It’s been years since I first took the escalator from the upstairs parking garage down into the Coliseum and I will never forget it. I still can smell the hotdogs, Zamboni fumes, and the roaring crowds chanting “sieve, sieve, sieve” after every Beast goal. The song machine head followed by a booming voice that filled the cavernous arena with Ladies and gentleman! Here are your Beast of New Haven! To be honest the Beast began my longtime love affair with sports and if it wasn’t for them, I wouldn’t be writing this today. The Coliseum created a lifetime of memories, especially with my father. I felt like the luckiest kid in the world to be sitting in the stands with him as we went back and forth about the game. I wish the Coliseum was still there to inspire the next generation of young hockey fans. While Yale and Quinnipiac certainly have certainly helped to fill the void, the next generation of New Haveners will never get to experience the same joy that my generation was privileged enough to enjoy. I always come back to those experiences that I enjoyed with my dad and I wouldn’t trade them for anything in the world. Now every time I head south on State Street and pass the gravesite of the once mighty Coliseum I can still visualize the concrete and steel racing towards the heavens while hearing thousands explode into cheers after a Beast goal. I can still remember ascending the massive escalators as I would look up into my father’s blue eyes and say “thank you for taking me to the game”. Then the images and sounds fade away as the sea of asphalt comes back into view. I always have to fight off a tear as I thank the Coliseum for the memories. Wow. I wish I were able to see the Coliseum and New Haven’s fanbase, but I was only 1 year old when hockey in New Haven ended. Very powerful article. Hey Greg…nice to see your post here. Saw Nighthawks hockey from the day that building opened…..and miss the ‘Hawks and seeing games there every season…… And Col Lipps, The Norge, Mrs Murphy’s. Thanks for the memories and yes, “the cat” was awesome. Speed baby, speed.